Sweet „Crowdfunding“ for 3 Euro: The Elevate chocolate disc to raise the prize money of the Elevate Awards is available to the public from now on. You can buy it at the Zotter Online-Shop www.zotter.at, in the Zotter Shops in Austria and at selected partners of the Elevate Festival in Graz. 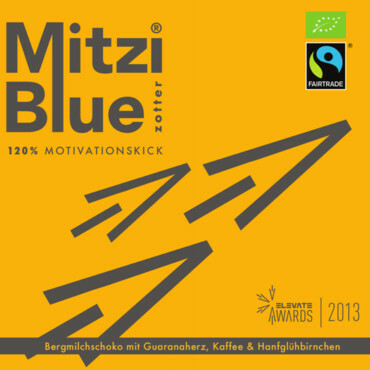 The full sales price of this "special edition" chocolate is donated for the Elevate Awards 2013. A sweet contribution for the winners of the Elevate awards, wo engage with 120% commitment for a better world. The already existing prize money should be raised by this initiative whereas, the the basic amount is guaranteed by Verein Elevate: Elevate Award Steiermark: 1.500 Euro; Elevate Artivism Award: 1.500 Euro; International Elevate Award: 2.500 Euro.